Posted in Premium, SP-500 | Tagged: Elliott Wave Technical Analysis, SP-500 Technical Analysis | Enter your password to view comments. Posted in GLD, Premium | Tagged: Elliott Wave Technical Analysis, Gold Technical Analysis | Enter your password to view comments. 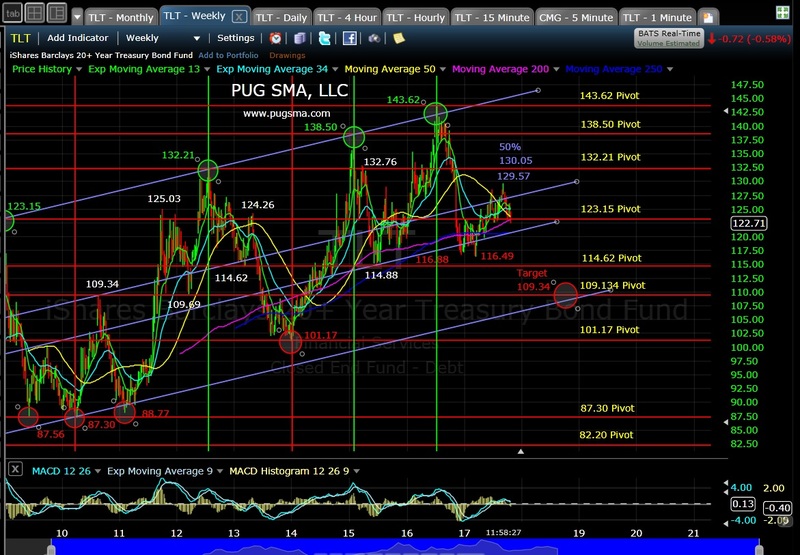 11:15 am EST: Back in October 2017, PUG SMA LLC was calling the US 20+ Year Treasury Bond Fund (TLT) to drop from 129.57 to the 109.34 pivot in late 2018 (see red circle on TLT 10-25-17 chart). 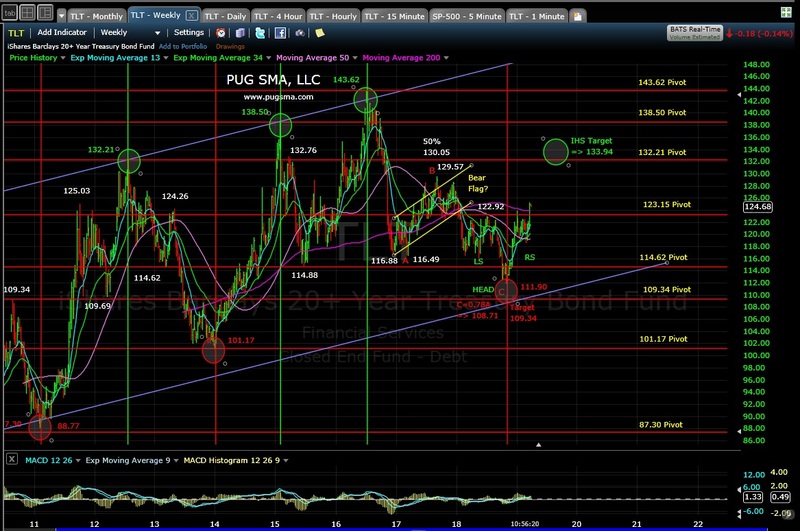 By November 2018 this is precisely what happened as TLT bottom at 111.90 (see red circle on TLT 3-25-19 chart). Now in March of 2019, TLT has cleared the 123.15 pivot and has formed an Inverse Head and Shoulder (IHS) with target at 133.94, just above the 132.21 pivot.